Fabulous views and all of North Asheville's benefits. Enjoy water, sewer and natural gas in this upscale community with inviting sidewalks. Located within a very short distance of Grove Park Inn and Beaverdam. Beautiful lot with amazing long-range views in new high-end Green Development! 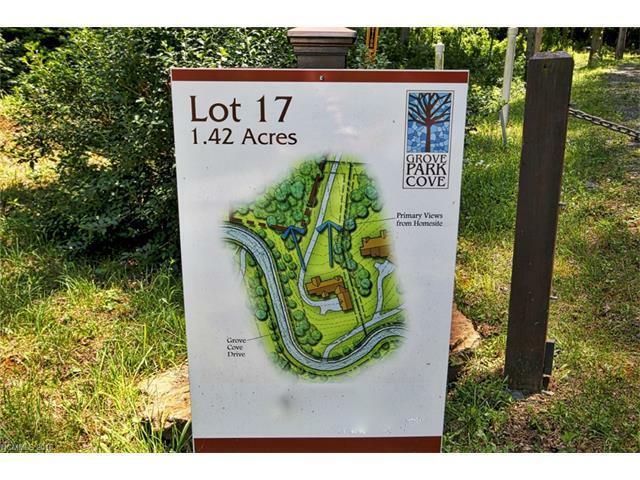 Grove Park Cove is only 3 miles from downtown Asheville. New home now under construction. Lots range from 1 to 3.5 acres. Check out our website for further details.